Having a good logo is not only essential for your brand’s identity but it also helps you deliver a pleasing impression to the customers. More than 50% of people are visual learners; learn more quickly what they see. Therefore, the brand owner shouldn’t compromise on any aspect while making a logo, an ideal one. The logo is a thing through which people not only interact but also understand the core of your business character. Therefore, it is essential to make the logo effective one that produce a clear vision of your business. Firstly, think what you want your logo to say about your business. Then, decide to whom the logo will communicate with. If you know clearly what to present and to whom, you can work well. A logo is like a face of your brand, it defines your business also interacts with customers. The ultimate goal of a designer is to create a memorable logo that contains the crust of business’ creeds. For creating an unforgettable logo, there should be a sensitive linking between the brand and the spectators’ insight. Memorable logos are simple or clear to understand, recallable, often includes company’s name with not too much ornamentation in it. The logo is one of the many things which may affect your brand’s reputation. If your logo looks professional, then it helps you to encourage others to engage with your brand. On the other hand, the logo with an inappropriate or heavy color shades, large fonts and non-interactive visuals may convey ruthless vibes to the spectators. The highly-metaphorical logo is a way to success. As Logo is the small image that reflects your brand’s Gist. It should incorporates only the essential things which relates your brand and business. Use necessary information with the approach of ‘less is more,’ it allows you to make a figurative logo. Your brand’s logo should be responsive enough to apply or print anywhere – from the t-shirt to footwear and from pamphlet to the website. The designer should know the art of creating an adjustable logo without losing its identity. It saves not only lots of money but also time. So just avoid extra ornamentation or designing. The logo is like a small picture but wait, don’t underestimate those little images. They could be more worthy than thousands of wordy product’s descriptions. Therefore, the designer should make those small images interesting enough for the spectators to interact. Lastly, there are many brands that exists in the market, offering more or less the same thing you’re proposing. Then, why people come to you? Of course, you have to make some efforts in attracting them towards your brand. And logo (if created perfectly) is one of the most important thing that helps you to do so. 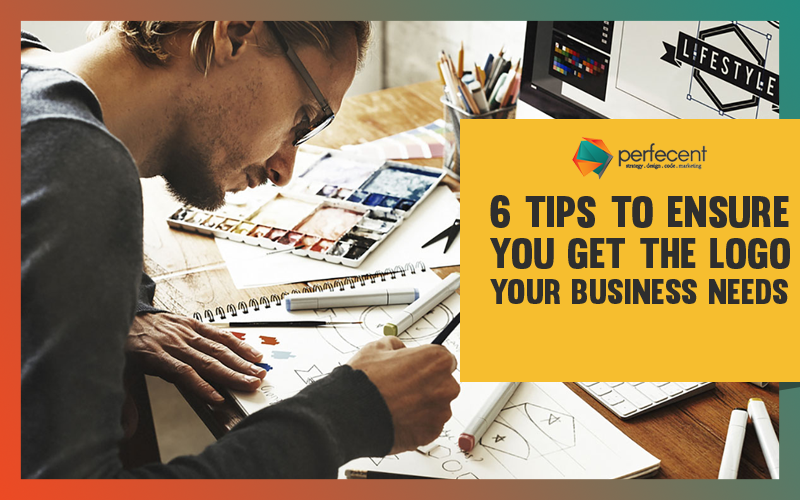 Hopefully, the tips mentioned above will help you in designing the logo of your business needs.